UofL’s Novak Center for Children’s Health opened in July and enables providers to offer comprehensive health care services for children in one convenient location. The center is among the recipients of funding from the WHAS Crusade for Children. For decades, the University of Louisville and the WHAS Crusade for Children have partnered with the single goal of bringing the best health care possible to the children of Louisville and Kentucky. This year, the Crusade has helped fund in part or in whole 12 projects at UofL, including the recently opened Novak Center for Children’s Health. Beginning in late June, nearly all the practices that see patients from infancy to mid-20s in some cases moved into the Novak Center for Children’s Health. This marks the first time that outpatient clinical care for these patients is concentrated in a single location. The Crusade has provided more than $475,000 in support of the facility, including $274,000 in this round of funding. Because of support from the Crusade, UofL is closer to being able to purchase, equip and staff a van that will serve as a mobile asthma clinic. The Crusade also provides valuable funding for what may seem like small things, such as basic supplies for a clinic, but they are essential to providing care to children. And this extends to support for hiring personnel. 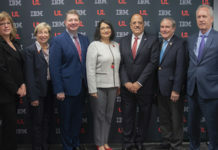 “Through the support of the Crusade, we can hire specialized care staff that is critical to our delivery of the most complex care to children who have autism, learning disorders, cancer and other conditions and diseases,” said Dr. Greg Postel, UofL executive vice president for health affairs. This year, the Crusade has helped fund positions in pediatric neurology, pediatric endocrinology, pediatric hematology/oncology and the Weissskopf Child Evaluation Center. Through the years, the WHAS Crusade for Children has provided nearly $16.3 million to the University of Louisville. This support has enabled UofL to provide medical care to countless children.